Published on Tuesday, 01 July 2014. TPO has made several important changes to both the Code of Practice for Residential Letting Agents and Residential Estate Agents. The updated Codes will be effective from 1 August 2014 to reflect the latest industry best practice and legislative changes. 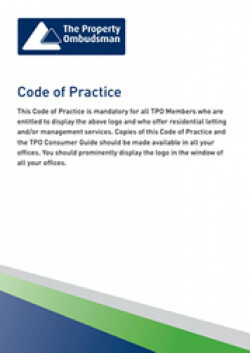 TPO’s Codes of Practice are unique in the industry and provide a set of standards and guidelines for members to follow that comply with all primary and secondary legislation. The Codes are a tool for member agents to use as a ‘mark of excellence’ above their non-member industry peers to reassure buyers, sellers, tenants and landlords about the service they can expect to receive. Published on Monday, 02 June 2014. This edition has a special focus on regulation to reflect the new Consumer Contracts Regulations 2013 (CCRs) that come into force this month. New regulations such as these and many other primary and secondary legislation changes are reflected in TPO's new Codes of Practice for Sales and Lettings, which have been updated to include the latest industry best practice. 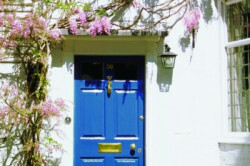 TPO receives Government approval to provide lettings redress.